Sony Interactive Entertainment has revealed April’s free games lineup for PlayStation Plus subscribers in North America and Europe. The following PS Vita games will be available for free starting April 3, 2018. 99Vidas is a brawler set in a contemporary world, but that pays tribute to both the classic and the new in the gaming industry. Brought to you in 16-bit pixelated glory, chock-full of references to not only gaming but also 80’s and 90’s pop culture. 99Vidas takes full advantage modern era gameplay mechanics, making it the best of both worlds. 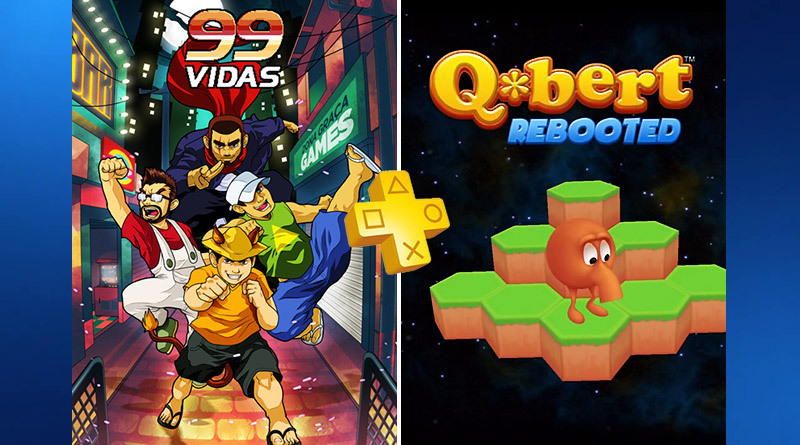 Q*bert: Rebooted features the classic arcade version of Q*bert and an all new action packed version of the arcade mega-hit. Dodge enemies, evade death, and navigate your way through villainous isometric levels in this iconic, critically acclaimed game.